Swampy the Little Monster should be getting ready for bed, but his Mommy cannot find him. The thing is that Swampy hates bedtime which becomes a little battle every day. Monster Mommy wants him to take a bath, brush his teeth, and get into his nice new bug pattern pajamas. Read Goodnight, Swampy the Little Monster to find out whether Monster Mommy finally manages to get her little monster to bed. 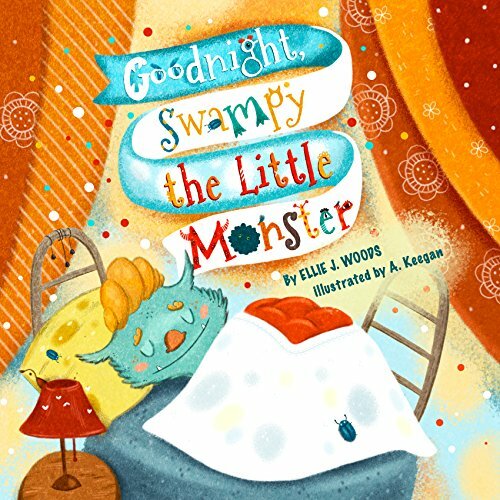 A tale told in rhyme, Goodnight, Swampy the Little Monster teaches children that bedtime routine can be fun. Included bonus coloring pages of the characters make it more than just a book – it’s a fun interactive activity.